I don’t use recipes, but that won’t stop me from writing one. I went to the fruit stand in search of zucchini, but since non GMO produce is seasonal, there weren’t any! 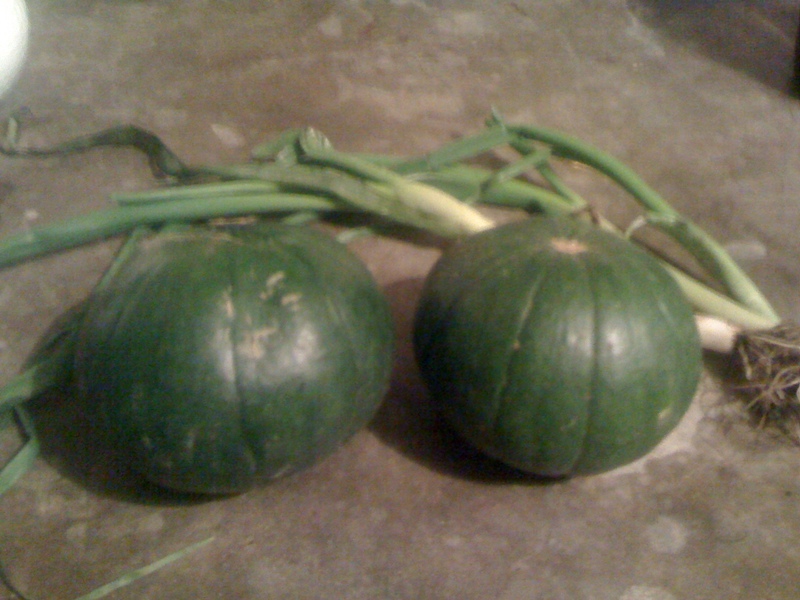 My friend at the fruit stand suggested I try zapallo instead and pointed me towards a box of green baby pumpkins. “What are zapallos?” I was certain I’d never consumed one before. “It is similar to a zucchini” was her response. optional: mushrooms, green peppers, kale, sundried tomatoes, any leftover veggies you have in the fridge. First prepare the pie crust in a pastry dish. Grease the pan with a little olive oil and put the one crust in the dish and bake for a few minutes at 350 degrees, until light brown, but not fully cooked. This helps prevent against a soggy pie bottom – very important. Then prepare your veggies. 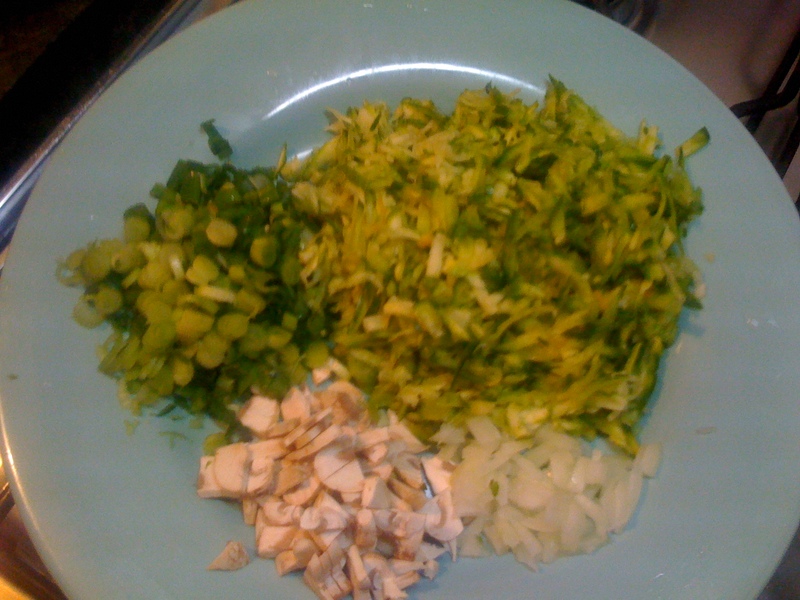 Use a cheese shredder for the zucchini or zapallo, and then squeeze out any moisture using a paper towel over the sink. Dice your onions. Combine all vegetables, two eggs, ricotta, salt and pepper in a mixing bowl and mix throughly. 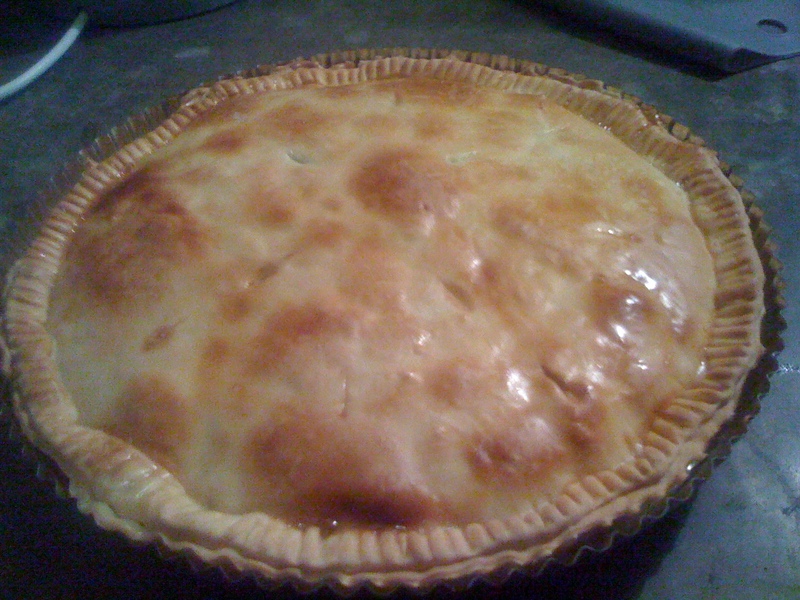 Empty ingredients into the hollow pie crust and cover with remaining pie crust, sealing the edges. Brush the surface of the pie with an egg white and puncture the surface to help steam escape while in the oven. Place in the oven and cook for 30min, or until the pie crust is golden brown and your kitchen smells so good that you don’t want to wait anymore. I ask again – HOW did you know how to make this?? ?